Kolkata Knight Riders and Chennai Super Kings are all set to face off in an IPL match at Eden Gardens on Sunday. Champions Chennai Super Kings are comfortably placed on top of the table with 12 points from seven matches. The Kolkata side, who have faced back-to-back defeats against Chennai and Delhi in the previous games, will be looking to turn their luck around at home. KKR is second in the points table with 8 points from seven games. Kolkata Knight Riders face an uphill task, though, with Andre Russell doubtful for the match. Russell is known to have aggravated his wrist injury he sustained in Chennai. Captain Dinesh Karthik has said that the team will take a call on Russell's inclusion on the day of the match. Dhoni's Super Kings have maintained a consistent performance, having won six out of seven matches this season. Time: The CSK vs KKR match will begin at 4 pm IST. 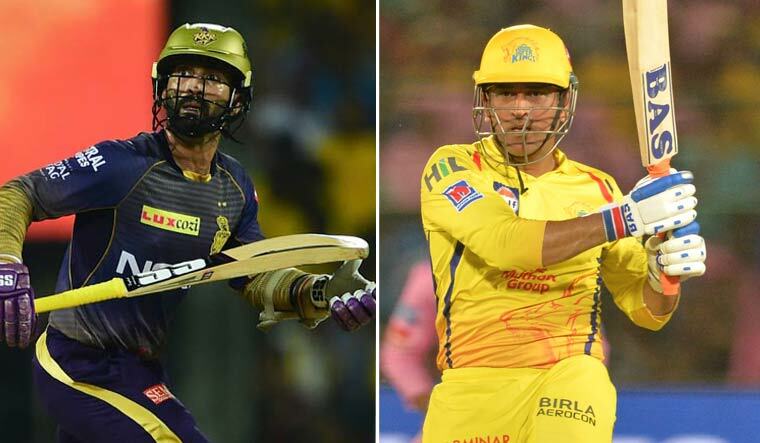 Live broadcast: The IPL match between Chennai Super Kings and Kolkata Knight Riders will be broadcast on the Star Sports Network. Online streaming: The CSK vs KKR match will also be live streamed on Hotstar.